Fine timepieces are usually staid affairs. A little gold here, some enamel here, and a nice movement are enough to please some of us but it’s clear that a minority need hand-cut crystal domes, scurrying aliens, and enough luminous material to make a deep-sea angler fish jealous. 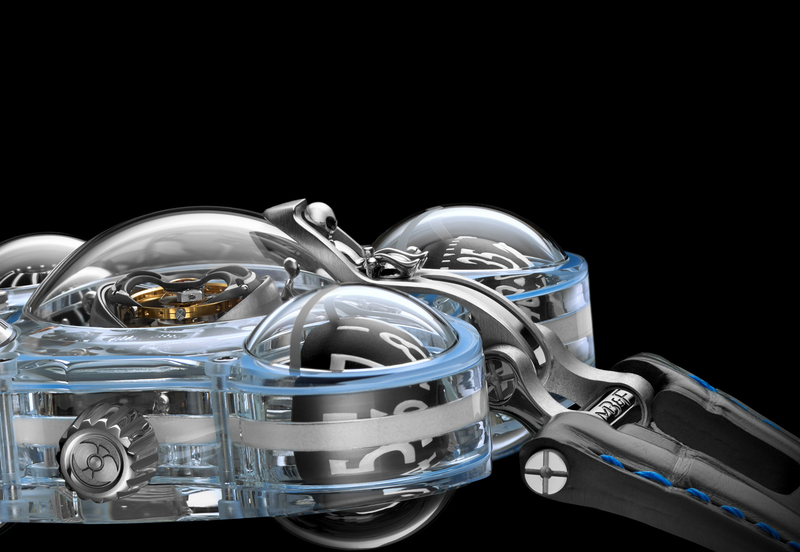 The new MB&F HM6 is a version of Max Busser’s popular Horological Machine series but features a few futuristic touches. 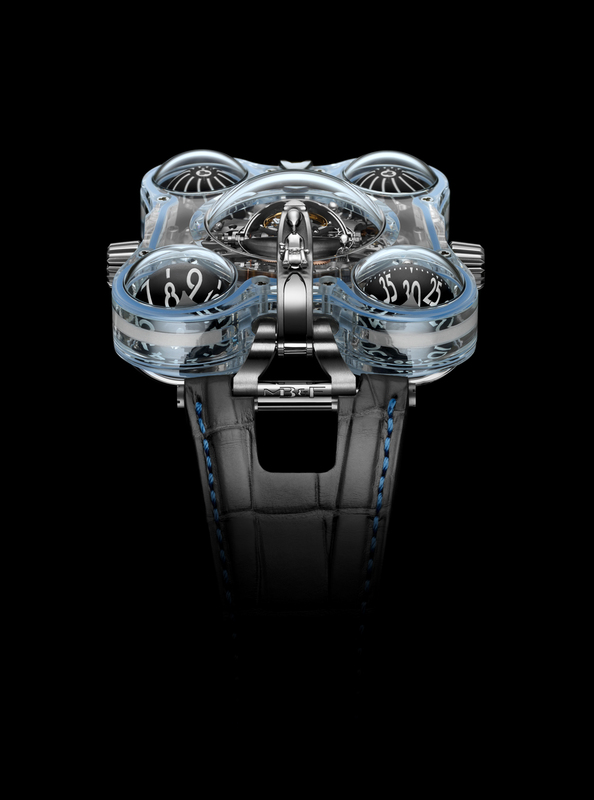 The watch case is made entirely of sapphire crystal and features six tiny aliens – including a driver – that clamor all over the inside of the piece. The watch is limited to four pieces in four colors and costs $500,000 – enough to send one of these things to the moon if necessary. ￼Each of the six aliens is individually modelled and hand-sculpted in white gold by engraver Olivier Kuhn. The arms and necks of the aliens are finer than grains of sand, each alien requiring up to 34 hours to complete. Count more than a month of full-time work for the crew of six. Why should you care about this watch? Well, if you had a liquidity event maybe you can pick one of these up and, more important, its one of the purest representations of the modern watchmakers art. Think of this less as a watch and more like a handmade piece of wearable art and you’ve got a general idea why these things cost so much. They’re completely handmade and the work put into every detail – from the case to the aliens – is a direct affront to today’s disposable society. Sadly this little watch can’t fly but it can, if you want, take you to the depths of despair if you break the neck off one of the tiny little aliens protruding from the case.